Crystallized water is falling all around, incapacitating normality here in Wisconsin. Work has been cancelled, and I, Zoltrog, Supreme Assistant Manager at AM/PM, have the entirety of this standard Earth day at my disposal. To pass your primitive, slow-moving Earth time, Zoltrog will tell you a little about himself. "But Zoltrog," intellectually inferior human asks, "time is a universal constant." Silly human, your puny stature in the universe is the only true constant! Have your Einstein wrestle with that conundrum! What, Einstein is deceased? Well, he certainly is no constant, mwahahaha! By your world's culture and astronomical location, Zoltrog is an Aquarius. By Earth years, Zoltrog is roughly 7,000 years old. Zoltrog enjoys chrono-thrack-tock, a native sport of my homeworld Kroglovia, whereby 3 players must somehow convince one team member to engage willingly in the suicide ritual of Ko-tah before the time expires. Zoltrog enjoys butternut squash, and consumes it vigorously. Zoltrog enjoys Earth motion pictures that contain human Ben Affleck. Zoltrog is oddly attracted to this human. What? Zoltrog is not gay. Zoltrog simply finds Affleck to have a fine and well-rounded posterior. Zoltrog makes above the minimum wage of your America and someday Zoltrog hopes to start his own furniture repair business. That or lead the armies of the Kroglovian empire to bring about Earth's ultimate destruction. Whichever comes first. Zoltrog believes human bones will make fine Kroglovian furniture. Puny humans have contacted Zoltrog via electronic mail communication asking for photographic documentation of my existence. 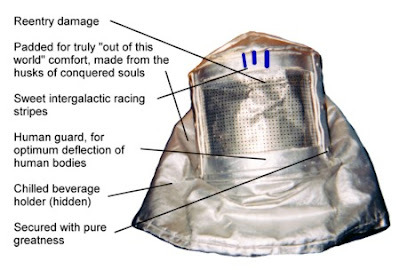 Since Earth technology is not advanced enough to capture Zoltrog's likeness, Zoltrog will provide a photo of the Kroglovian helmet worn upon entering your planet. Rest assured Zoltrog will construct a new helmet when your world enters its final days. The skin from human Benjamin Affleck's tight buttocks will make for both quality and comfort. Mwahahaha!